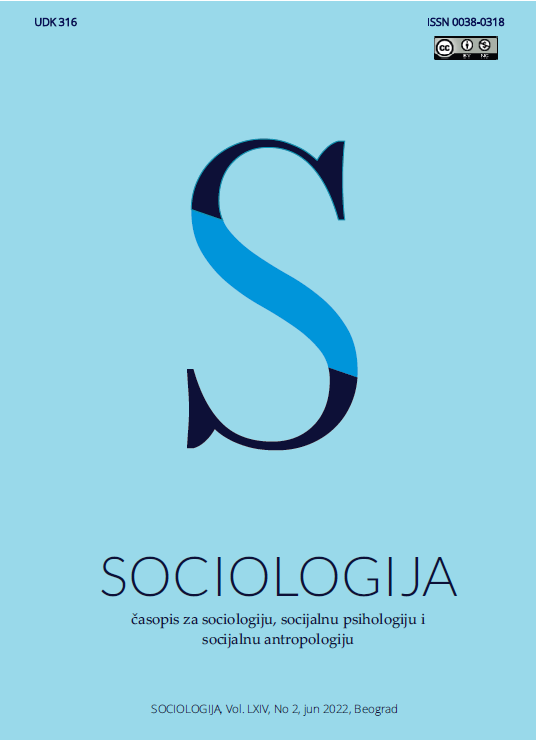 Journal Sociologija is scientific journal in which theoretical, empirical and methodological papers in the fields of Sociology, Social Psychology and Social Anthropology are published. It is published since 1959 by the Sociological Association of Serbia and Montenegro and the Institute for Sociological Research of the Faculty of Philosophy in Belgrade. Papers are published in Serbian and English after independent peer review process.